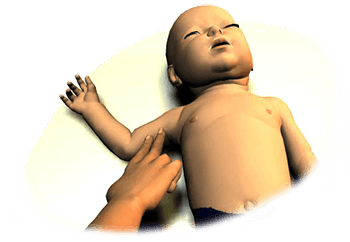 For the purposes of CPR, a victim is considered an infant when they are under the age of 1. 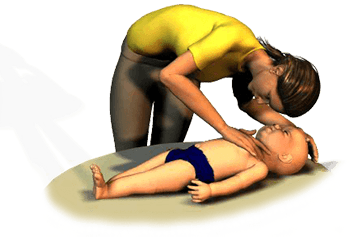 Infants, like children go into cardiac arrest for different reasons than adults. 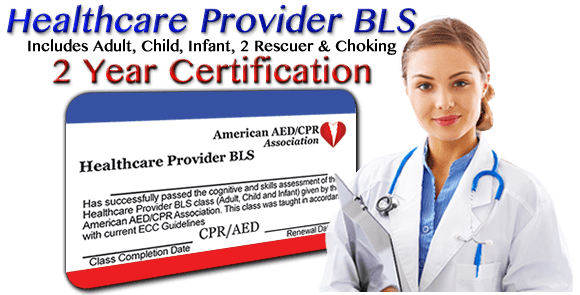 Child victims generally suffer Asphyxial Cardiac Arrest which is caused by a lack of oxygen. Ventilations are extremely important in pediatric resuscitation. You must move quickly because the victim is in need of oxygen. When you observe victim, the first thing to do is determine if he or she is conscious. To do this, tap the infant on the shoulders and chest. You may also smack the infant's feet or "flick" them with your fingers. DO NOT SHAKE THE INFANT! Look for signs of normal breathing. Ignore agonal/gasping breaths. If no response and the victim is not breathing, act immediately. If you witness the collapse and are alone with no mobile phone, leave the victim to activate the emergency response system and get the AED (if available) before returning to your victim and beginning CPR as quickly as possible. If you did not witness the collapse, provide 2 minutes of CPR before leaving the victim to activate 911. If you are not alone have someone else activate EMS immediately. Single someone out and instruct him or her to “CALL 911, tell them we have an unconscious victim and come back. Do you understand?” If they do not respond, be sure to send someone else. To check for signs of circulation, find the brachial artery. This is located in the upper aspect of the arm between the bicep and triceps muscles. You may also use the femoral artery located in the groin area. Also look for other signs of circulation such as movement and color.